I’m sure most of us have been touched by cancer in one way or another. Whether you’ve had a close friend or family member diagnosed with cancer or dealt with the disease yourself, cancer is something that affects us all. I’ve known many people who have lost their lives to cancer and ones who have beaten the disease. Just this week, my dad’s cousin passed away from his long battle with cancer. It’s heartbreaking to lose a close a family member or friend. World Cancer Day is coming up on February 4th and there are ways you can support cancer research. Princess Margaret Cancer Centre’s #NoHairSelfie movement is one such way. Join to show your support for Canadians currently undergoing cancer treatment or to honour a loved one who has passed on the disease. The #NoHairSelfie movement is exactly what it sounds like – shaving your head and raising money (and awareness) for cancer research. You can also virtually shave your head too with the help of an app. 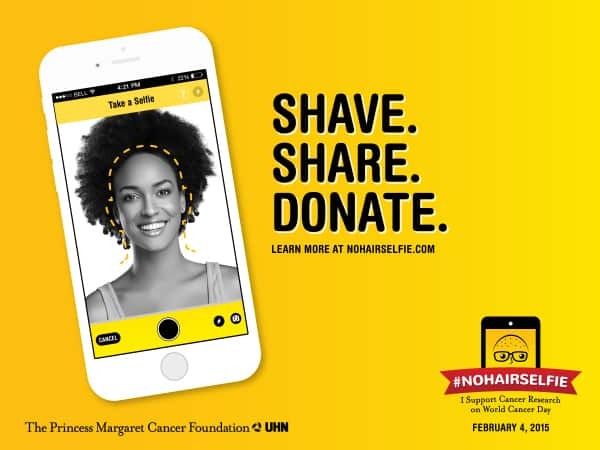 They have a website full of information about the movement including tips on how to shave your head, link to the App Shave, how to raise awareness and funds and more. Head on over and check it out and sign up to be a “Hair-Ticipant”! 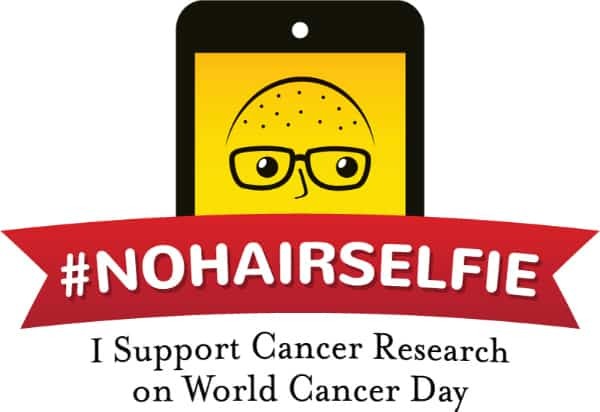 You are invited to join the #NoHairSelfie Twitter Chat on February 4th at 1 pm EST! This is such an amazing cause! See you at the chat.